Probably what you’re doing is running into loose semi-upside-downish stitches along your needle. At a certain angle, stitches can sit on the needle in such a way that they have two “legs” of yarn across the needle. Usually what happens is, you have some looser stitches at the beginning and end of your flat-knit piece, they sit this way when you turn your row, and then you stitch both “legs.” Presto, extra stitches. When you change how you’re holding your needles between rows, take a second to straighten out how the stitches are sitting on the needle so they can’t deceive you. 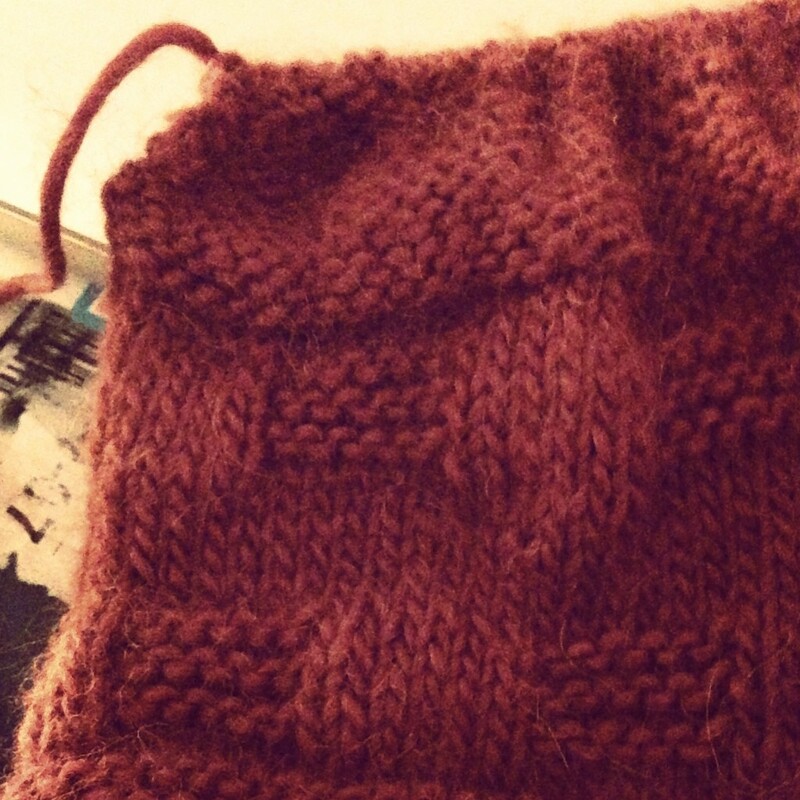 Also, you will eventually figure the whole thing out if you ignore the stitch-creep and keep knitting. As your habit develops you will figure out that the “legs” are different in look and feel from the regular stitch. Thanks! That makes sense—I’m usually knitting while watching TV, so I confess to paying pretty poor attention to what I’m doing. I’m into the decrease section of the pattern now, so I’m hoping I can just toss a few extra SSK stitches into the mix and end up where I’m supposed to be at the end. The good news is that I’m still really enjoying this, and am excited about finding a new project. I can’t decide what I want to learn next—wavering between teaching myself how to knit in the round and how to knit with two colors…. I vote for knitting in the round because it feels like magic. Also lets you do magical projects like socks (turning a heel is very exciting) and seamless top-down sweaters (I’m trying to do one of these).